Toronto, Ontario Canada: Hog Town - Eat See RV! Canada; Our friendly, cold weather, North American neighbors. We were excited about crossing the border and visiting this beautiful country for the first time in our RV. Coming from Detroit headed toward Toronto (with a stop in between), we weren’t quiet sure what to expect. With a bit of anxiety, and a set back getting our cat’s rabies vaccination updated the day we were supposed to be leaving, we were surprised at how smooth and quick the process was. 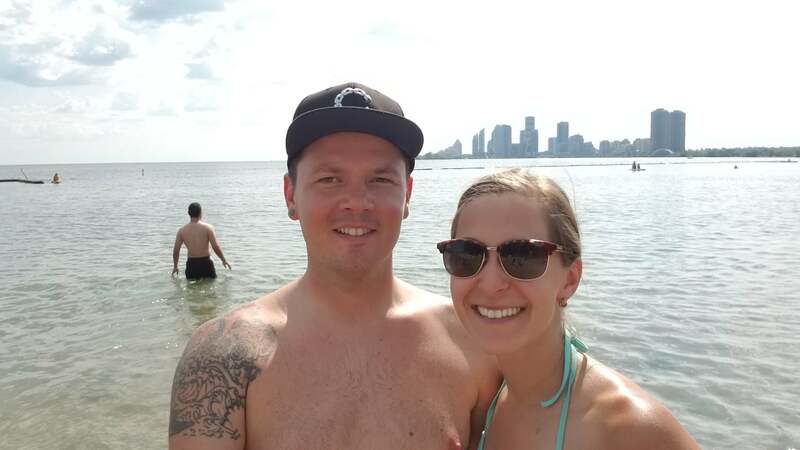 We talk about our time in Canada, and crossing the border in the video below! Hope you enjoy! 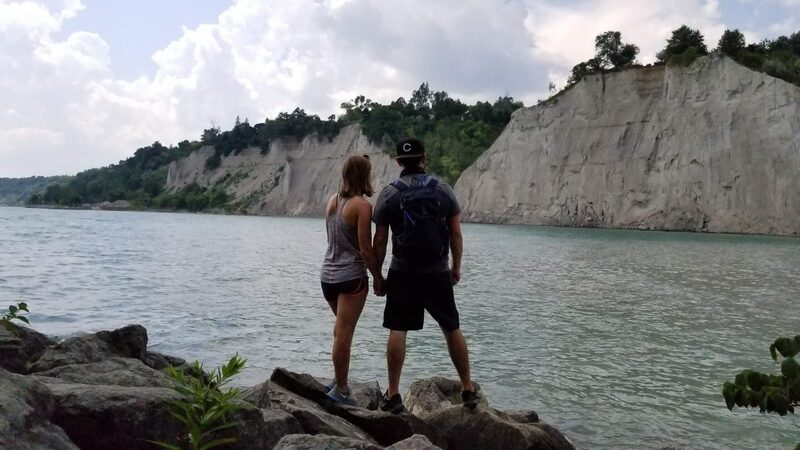 We also went to Scarborough Bluffs about 45 minutes outside of Toronto. 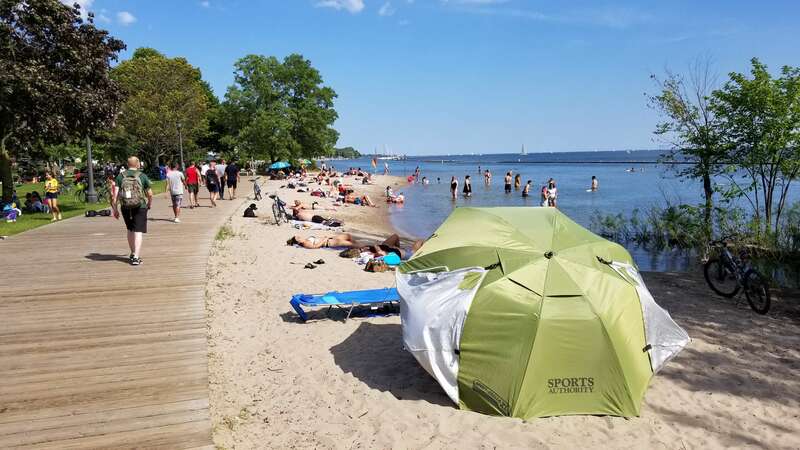 You can drive the park which is at the bottom of the Bluffs and enjoy several different “beaches” although swimming is technically not allowed, everyone does it. Theres picnic tables and beautiful scenery all around. 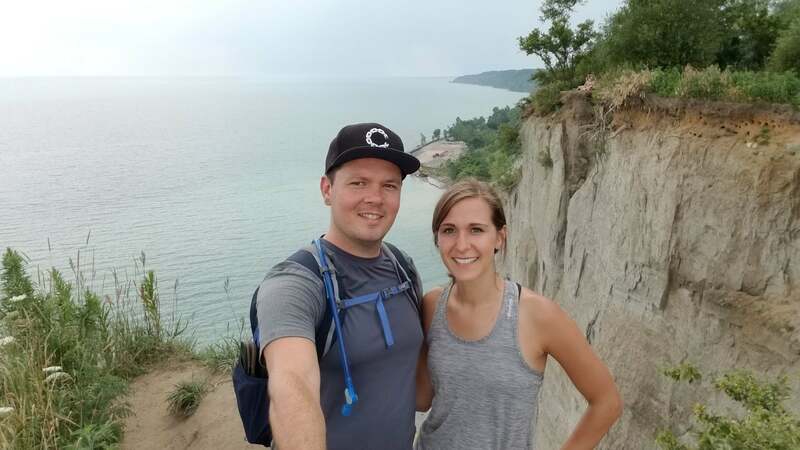 We took a quick walk through the park admiring the beautiful views then drove up to the top of the bluffs. 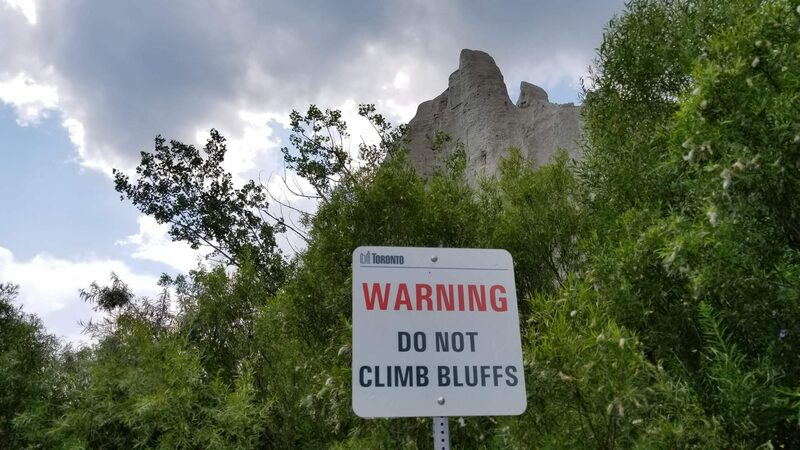 While it may seem like you should/could hike to the top, there are signs everywhere pleading with people not to climb the bluffs. 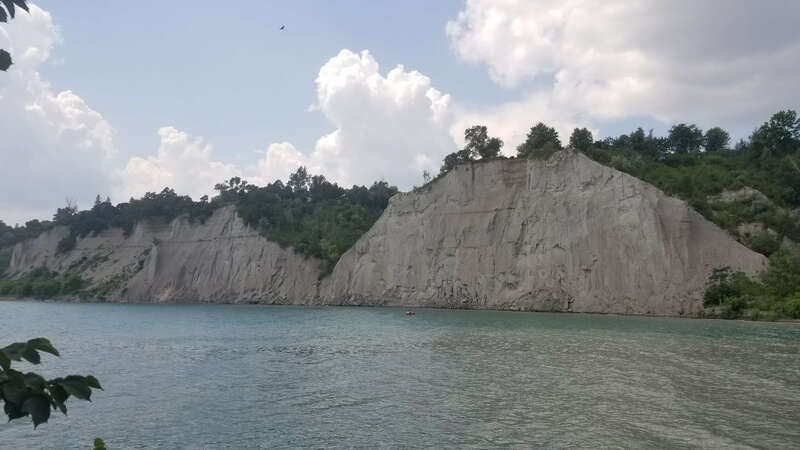 They are having major erosion issues and much of the bluffs are withering away, so hede the signs and just don’t climb the bluffs. 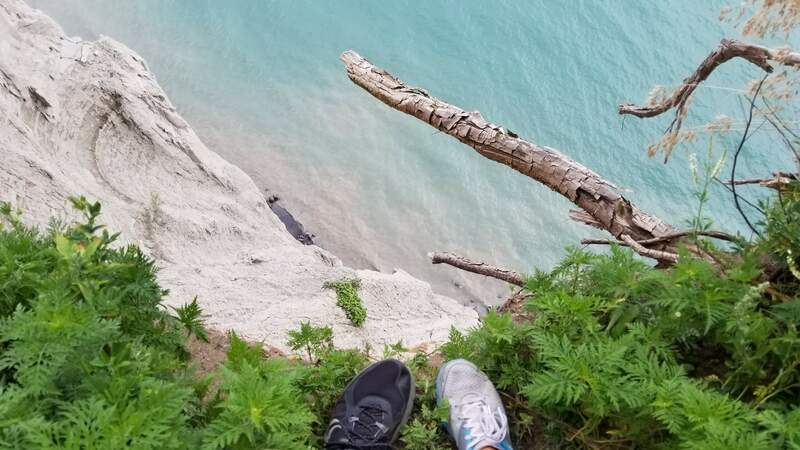 If signs are not warning enough for you, there is a hefty fine if you’re caught climbing anywhere on the bluffs. 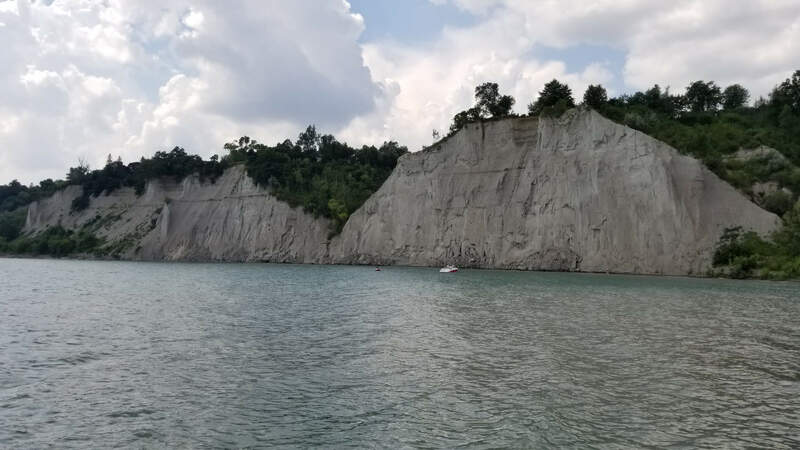 The drive to the upper portion of Scarborough was about 10 minutes from the park. There isn’t much up there except for the view, but boy it’s worth it. The water was so blue in some parts it reminded us of the medeteranian. We were there on an overcast day, it actually started drizzling while we were up there, so if you go on a sunny day I can’t imagine how much better of a view you’d get. 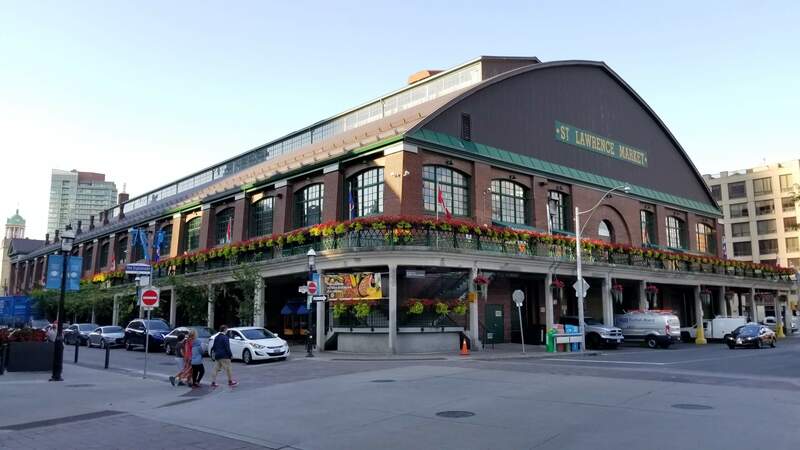 We went to St. Lawrence Market, the oldest market in Toronto to pick up some groceries during our stay. The market was PACKED, granted we were there on a Saturday, but still very busy. There is everything you could imagine here. Fresh fruits, vegetables, dry goods, baked goods, speciality shops, milk, meat, cheese, fish, and more. We really enjoyed the different vendors and stalls and just taking it all in. We were able to buy everything we had on our shopping list which in most places can be a tough task. After shopping we took a break outside at one of the tables and Dennis started talking to a worker we thought. 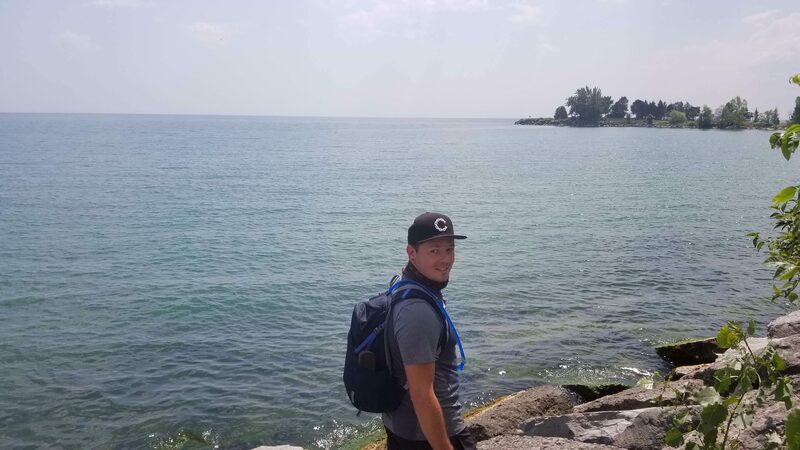 We found out he was a chef at a local restaurant we had been eyeing and he told us about the history of Toronto, the market, and what we can’t miss eating while we were there. It just goes to show you talking to people pays off! People are super friendly and want you to enjoy their city, just start a conversation and you’ll likely be happy you did. 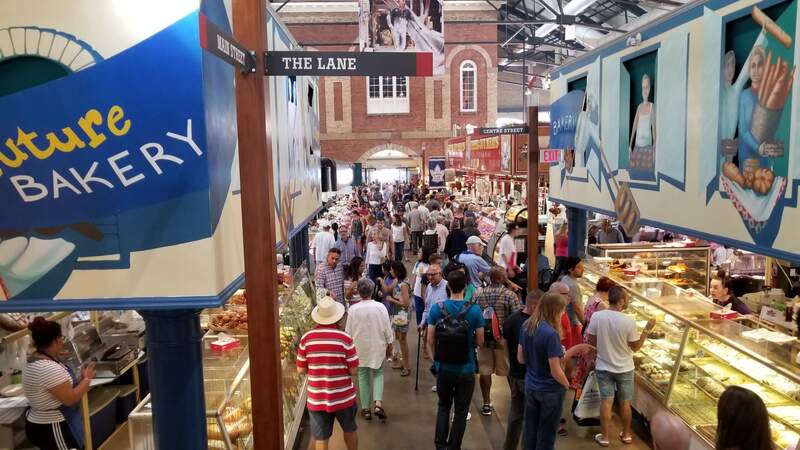 We did find out from a new found chef friend, that St. Lawrence Market is much more geared toward tourists (shocking…we’re tourists and we’re there) with less variety of fruits and vegetables as well as higher prices. If you’re looking for the best market in Toronto, he suggested going to the Kensington Market. 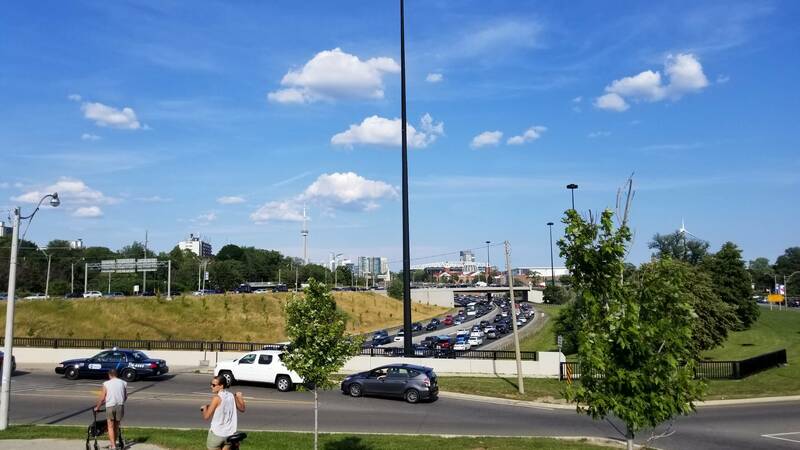 Traffic in Toronto was TERRIBLE. We parked at Indian Line Campground, which is one of the closest RV Parks you can find near Toronto. It’s what you’d expect from a city campground, noisy, but you’re there for the city not for nature. 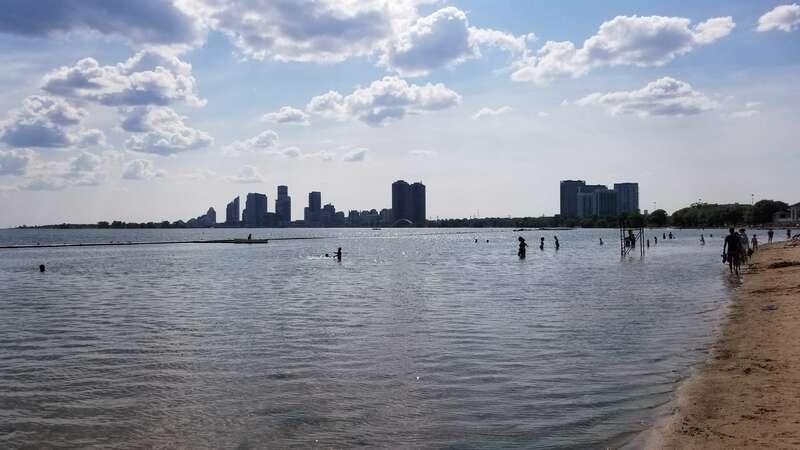 It’s near the airport which was about 35 minutes (with good traffic) from the city, realistically 45 minutes – 1 hour from the city with “usual” traffic. We did a lot of driving on the motorcycle and sitting on the freeway, but it was worth it. It was a really cool city to explore and there was absolutely no shortage of things to do.